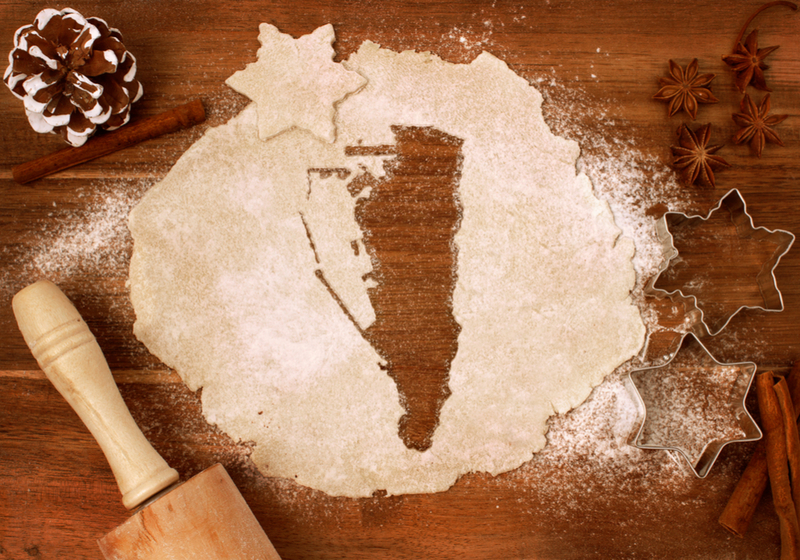 Gibraltar is spoilt for choice when it comes to food, and food – sweet and savoury – is a traditional favourite for Christmas and all mid-winter festivals. Gibraltarian’s love their traditional foods, they love eating out, eating in, wining and dining and sharing their love of food with the thousands of tourists that flock to the Rock during the festive season. Day-trippers, visitors, business travellers and longer-stay tourists have a wide variety of choice in terms of places to eat, and this is evident as soon as they step off their cruise liners, alight from their cards and coaches or emerge from Gibraltar International Airport’s arrival lounge. There are numerous café bars lining the roads to the City Centre and on a chilly winter morning, the scents of freshly-ground coffee, warm bread and sizzling churros – not to mention the ubiquitous full English or “bollo serrano” – are bordering on intoxicating. For visitors touring the Rock on the many varied tours available, Gibraltar offers plenty of take-out options. With an increase in local awareness of environmental issues, it will not be difficult for the socially and environmentally conscious tourist to find food outlets that, not only appeal to a wide variety of tastes and dietary requirements, but which also provide recyclable containers and cutlery. Gibraltar’s food offering appeals both to traditionalists and to those who like to experiment with new flavour combinations and exciting international trends. Traditional, English-style pubs, serving anything from roast beef to fish and chips, rub shoulders with sophisticated wine cellars and vintners where superb cheeses and tapas of Iberico ham enhance the taste experience. Alongside these, are modern bars experimenting with deconstructed dishes and new combinations of tastes and textures that include the quirky cocktail. These can come in a dizzying plethora of tastes, colours, with foam, with frosting, with liquid nitrogen ‘steaming’ out of the serving glasses to add to the thrill of Christmas fun, and concocted by the Rock’s talented mixologists. Mediterranean cuisine and, of course, local fish dishes, are perennially popular, but tourists wishing to enjoy a taste of the adventurous would not be disappointed, with local restaurateurs bringing the latest trends to Gibraltar from across the world. Whether looking for a health supportive, gluten-free vegan lunch box to take on a tour of the Upper Rock, or whether preparing to dine in relaxed surroundings at the end of a busy tour of Gibraltar’s shops with their wide array of tax-free gifts to take home for Christmas, there is bound to be something in Gibraltar to appeal to all tastes.